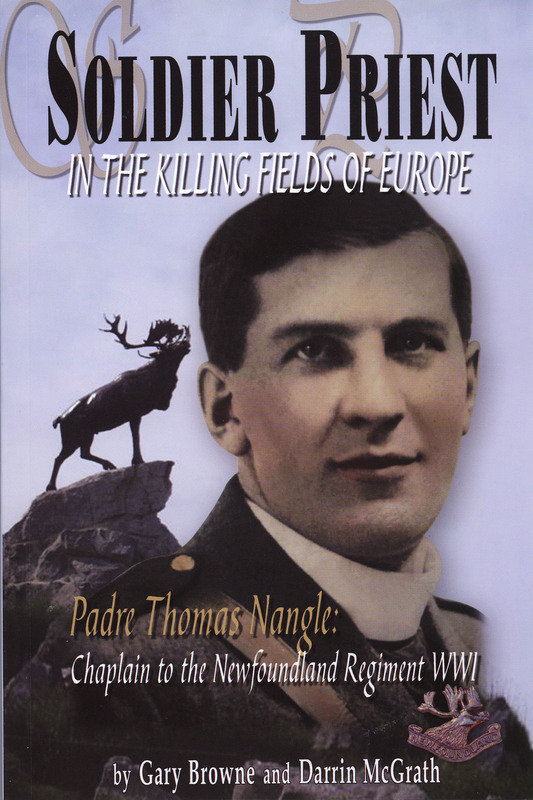 After the war and while still a priest, Padre Nangle was instrumental in the erection of the National War Memorial in St John's, the Caribou Memorial Park in Beaumont Hamel, France, and four other similar parks at places in France and Belgium where the Newfoundland Regiment fought and died. In 1926, he left the priesthood and departed Newfoundland, immigrating to Rhodesia where her became a farmer, entered politics, married Thelma Watkinson, and had four children. In the summer of 2006, the Royal Newfoundland Regiment returned in strength to France and Belgium for the first time since the end of the First World War in 1918. They went to remember fallen comrades and rededicate caribou memorials at each of the five parks in France and Belgium. Among those present were three Nangle's children and retired policeman Gary Browne, chairman of the Royal Newfoundland Regiment Advisory Council and co - author of this book.